Forrester Research says competitive advantage will follow big data analytics’ move to the cloud; join in, or get left behind. Failure to move your big data into the cloud may prove to be “an extinction level event” for companies that are on the verge of becoming digital dinosaurs, says Brian Hopkins, analyst with Forrester Research. His June 15 report, Move Your Big Data Into The Public Cloud: You Won’t Be Able To Keep Up With Customers If You Don’t, concludes that companies that wish to be competitive in 2020 need to make use of their big data analytics in the public cloud. He was assisted by Srividya Sridharan, John Rymer, Boris Evelson, Dave Bartoletti and Christian Austin. The report is not publicly available. The Forrester summary of it is here. “The migration of data and analytics to the public cloud that began in 2016 is still going strong in 2017 and will continue in 2018,” said the authors. The use of big data in the cloud is an example of the force of Moore’s Law. Its usefulness will accelerate there through repeated reductions in compute cost versus gains in analytical systems’ power. Firms that are not leveraging the public cloud for big data analytics will be hard-pressed by 2020 to keep pace, was a key conclusion of the report. “You must immediately shift your big data investment from on-premises or hybrid toward public cloud,” Hopkins and co-researchers added as a key takeaway. 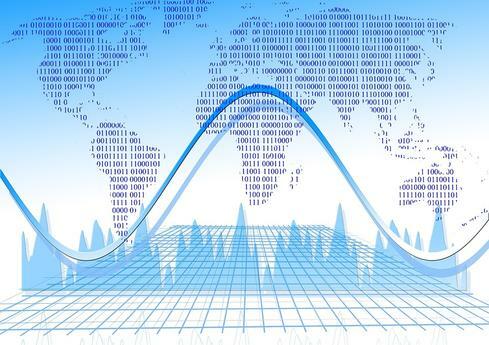 Want to how big data is part of the bigger picture? See The Need to Go Digital Is Clear; Not Everyone Can Get There. In addition, an internal staff will not be able to keep pace with the unpredictable change requirements that will keep popping up. The staff’s existing skills will determine what changing technologies they dare adopt and even recognized, promising ones “are unlikely to be adopted at scale fast enough,” the Forrester researchers wrote. There’s no shortage of blue-sky thinking when it comes to organizations’ strategic plans and road maps. Why not ditch impractical thinking and build a data strategy with realistic goals and measurable deliverables? Enterprise architects understand the advantages in the public cloud. Nevertheless, they are likely to continue to recommend on-premises investment because they foresee a big total cost of ownership in the public cloud over a five or ten-year period. But researchers Hopkins and peers project that competition in the public cloud will keep cutting prices in half every few years for both compute and storage. The falling costs “will make the public economic incentives irresistible,” they wrote. Resistors will cite compliance, data security, liability and brand perception as reasons not to go into the public cloud. The longer they delay, the more advantage will pass to those who adopt public cloud analytics early. “By 2020, firms that are not fully leveraging the public cloud for big data analytics will be hard pressed to keep the pace set by digital leaders….” they wrote. As storage and compute double every few years for the same price, “leaders will innovate faster, dealing a death blow to laggards,” the analysts warned. Forrester based its report on a big data survey conduct last year along with more recent interviews with American Express, Bose, Walmart, Amazon Web Services, IBM, Hortponworks, Logitech, Databricks, GoodData and Qubole. How To Block Unwanted Advertisements And Speed Up Browsing?